Bentonville is home to 16 beautiful parks. Our most popular parks include Orchard Park, which is where The 4th of July Fireworks and Summer concerts are held and Lawrence Plaza which features First Friday Movies in the park and converts into a splash pad in the warmers months and into an Ice Rink during our winter season. 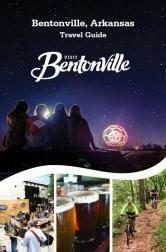 The Bentonville Trail system consists of three looped trails within the parks, (Memorial Park, Lake Bella Vista, Park Springs Park), seven linear pedestrian pathways and bikeways along city streets, an all-terrain mountain bike trail, and on-road bicycle routes, creating a network of over 40 trail miles.